This article was adapted from the SONAR 2016.06 Update PDF. To download the SONAR 2016.06 core update, download from the core SONAR Artist, Professional, or Platinum category. Platinum users should also download the Boutique Suite to install TH3 Cakewalk Edition (for Artist and Professional, TH3 Cakewalk Edition is included in the core program installer). Here’s another workflow enhancement that becomes downright addictive once you start using it. 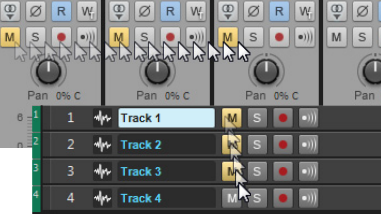 With Smart Swipe Track Controls, you can quickly enable/disable buttons on multiple tracks by clicking a button in one track, then dragging across adjacent tracks without releasing the mouse button. Smart Swipe is also an extremely effective complement to Quick Grouping. With physical amps, you change tubes. 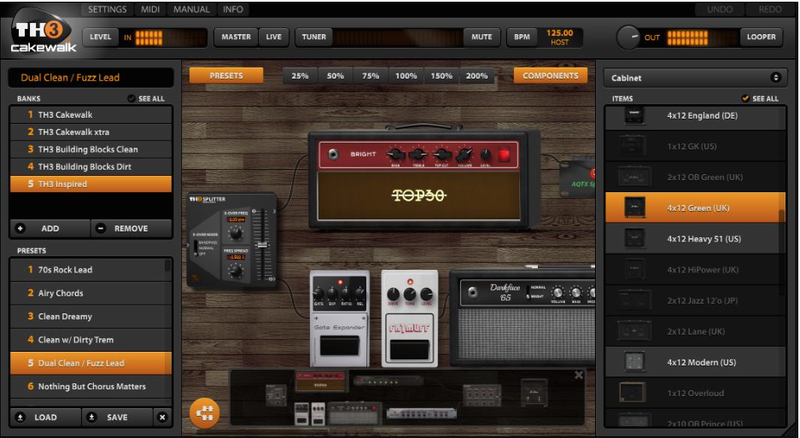 With virtual amps, you get updates! This month Overloud has updated TH3 with some major improvements. The plug-in now loads four times faster than before, the Overview panel from TH2 is back for faster navigation, and MIDI Learn has been overhauled so that it now works as expected. Furthermore, TH3 now displays the correct VST3 category "Guitar" (this may require a reset and re-scan in Edit > Preferences > File > VST Settings), and the full version re-introduces the Cabinet IR functionality included in previous SONAR versions of TH2. It’s all part of Overloud’s ongoing goal to provide you with a musical, flexible amp/pedal emulation that fits your projects like a glove. Smart Swiping both Mute and Automated Mute controls, enables or disables both. Some menu items are unreadable on some systems customized in X3.